Fermentation is the method that anaerobic organisms, such as yeast, produce energy from sugars. 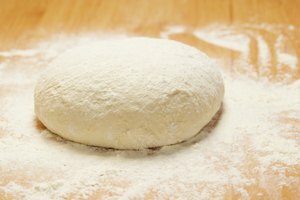 This process is best known when yeast is used to produce alcohol from mash or when it is used in dough to make bread rise. The output from fermentation is ethyl alcohol and carbon dioxide. 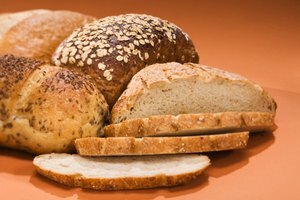 There are times when it can be desirable to increase the fermentation rate to speed the production time for the output of alcohol or bread. While the fermentation rate has limits regarding how much it can be accelerated, increases in the 50 percent range can be attained with careful control of the fermentation environment. Place the mixture being fermented in a warmer area. This is probably the easiest way to increase the fermentation rate. Yeast operates best in a range of 75 to 85 degrees Fahrenheit. For each degree that you increase the temperature within that range, you will increase the fermentation rate by three to five percent. A 10-degree rise in temperature within this range can achieve a 30 percent to 50 percent increase in the rate. Lower the amount of salt and sugar in the mixture. Yeast likes sugar, but not too much. Amounts of sugar above five percent of the mixture will begin to inhibit the fermentation rate. Salt amounts that make the mixture more salty than the yeast will slow the fermentation rate because it will impede the rate of osmosis. Salt concentrations above one percent will inhibit the fermentation process. Add more water to the mixture to increase the rate of fermentation. 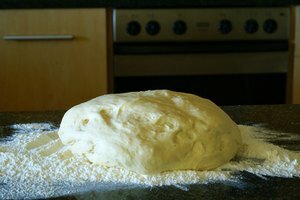 Bread dough that is less stiff will allow faster fermentation. Keeping any fermentation mixture more hydrated will speed up fermentation because the osmosis can occur more freely for the yeast cells.